Debbie Cenziper is a Pulitzer Prize–winning investigative journalist with the Washington Post. Over the past twenty years, she has investigated government fraud, public housing scandals, white-collar crime, and deaths in psychiatric hospitals. Her stories have prompted congressional investigations, criminal convictions, new laws, and the delivery of hundreds of millions of dollars in funding for the poor. She has won many major prizes in American print journalism, including the Robert F. Kennedy Award for Journalism and Harvard University’s Goldsmith Prize for Investigative Reporting. She won the Pulitzer Prize at the Miami Herald for stories about affordable housing developers who were stealing from the poor. 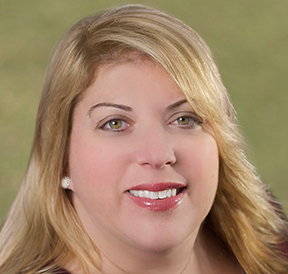 Debbie grew up in Philadelphia and graduated from the University of Florida in 1992. She first met Jim Obergefell and John Arthur twenty years ago—Debbie’s then-husband and John Arthur were first cousins. Debbie last saw John Arthur in 2011 at a family event. 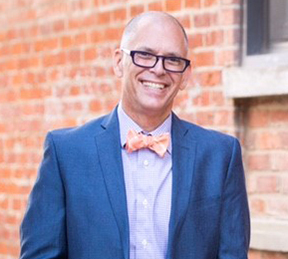 Jim Obergefell is a civil rights activist who embraced his newfound role after the U.S. Supreme Court made marriage equality the law of the land on June 26, 2015. A former Cincinnati realtor, he has worked with organizations such as the Human Rights Campaign and Equality, Ohio, and has been honored with awards from organizations such as Services and Advocacy for Gay, Lesbian, Bisexual and Transgender Elders (SAGE), Equality Florida, Equality North Carolina, the ACLU of Southern California, Cleveland Stonewall Democrats, the International Court Council, the National Gay and Lesbian Chamber of Commerce, and the Ohio Democratic Party. Foreign Policy magazine named him one of its 2015 Global Thinkers, and Out magazine included him in its 2015 Out 100 list. 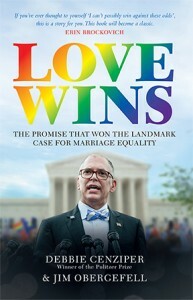 The Washington Post called him “the face of the Supreme Court gay marriage case,” and NPR referred to him as “the name that will go down in history.” He earned a degree in Secondary Education and German from the University of Cincinnati in 1990.